Gold, Cash, Diamonds, and Puzzles! What more could you ask for? An eccentric millionaire lives on the edge of town, and like any good burglar, you’ve been staking his home out for weeks. A man of habit, he always steps out for an hour long walk just before dark, and after much preparation, you’ve decided that now is your time to strike! Once inside, you’ve found that there are so many puzzles and traps hiding away the goods, so you’ll have to be smart and quick if you’re going to leave this place rich! That is, if you’re even able to leave at all. The Experiment and Sherlock were some of the most elegantly paced and well crafted escape rooms we had experienced in the area, so we were obviously excited that we had one more room to go during our night out at Room 5280! After a short break, we were led into another spacious and streamlined set, and got to puzzling! The excellent game design philosophies of Room 5280 are yet again exemplified by The Heist. A clean, spacious set where everything matters is married to a very tightly designed game flow that is packed with creative puzzles. Many times as an enthusiast, it is rare that you come upon a puzzle that is 100% something you’ve never seen before and usually there’s a basis of meta-knowledge one uses to solve even the most creative puzzles after a while, but in every room at Room 5280, there is something within the design that manages to be 100% brand new. Though this was the easiest of the three rooms we experienced, it was not without it’s fun challenges, and required a fair amount of thought and logical deduction. The room was non-linear in some places, but did have a base that was mostly linear. 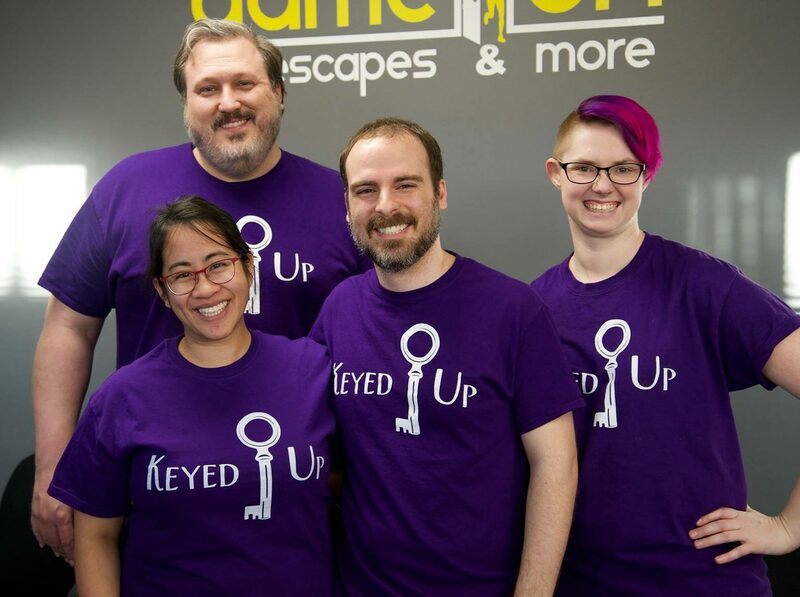 Our team of four stayed engaged with almost every puzzle throughout, however, with each of us taking on a role for each step of the experience. Teamwork was highly encouraged by the design, and the variety between the puzzles themselves rewarded a team with divergent ways of thinking. Slowly gathering new riches during the room was a lot of fun, and a great way to keep the excitement high during the experience. The whole experience was chock full of intuitive ah ha moments and great interactions, ending on a high note of escape! The directions for one of the late game puzzles come off very vague, and though some of my teammates were able to wrap their heads around it after we went over it several times, (for which I’m eternally grateful, I’d have never figured out that one,) I don’t think any of the challenge would be lost with some tighter wording to better direct players. There is definitely one particular puzzle that would benefit from slightly more cluing, as the connection can be easily made, but from there, a lot of guess and check is required. Room 5280 absolutely gets my vote as the best escape room business in the city of Raleigh! All of their experiences deliver a steamlined, tightly designed, and overall enjoyable puzzling experience from start to finish. With a fourth room coming up, I am excited to see what they’ve got in store for us next. I absolutely recommend checking out their games whether you’re an enthusiast or beginner, as there are massively clever puzzles in store for players of any experience level! You can book your big Heist here!